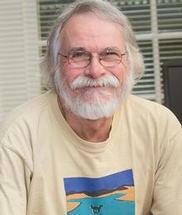 Dr. Robertson's general research area is developmental psychology; he uses a range of techniques to address the relations between the mind and body during development. During the last ten years, Dr. Robertson has been focusing on mind-body relations during early infancy, particularly in the context of visual foraging. During early infancy, when independent locomotion is not yet possible, visual foraging is an important way for infants to learn about the world. Using eye-tracking to record looking behavior and movement sensors to detect body movement, Dr. Robertson and his colleagues have demonstrated that decreases in body movement reliably occur during looks and increases in body movement reliably precede looks away. This suggests that spontaneous body movements may help infants to disengage their gaze and promote visual foraging. Using a dynamical systems approach, Dr. Robertson and a colleague in the Center for Applied Mathematics have developed mathematical models of visual foraging. In this work they have found that a surprisingly simple model can mimic the behavior of young infants during extended periods of spontaneous looking and looking away. Interestingly, these results leave open the question of the role of attention. As work with adults has shown, gaze does not necessarily reflect attention. It is possible, and in fact it frequently happens, that while we look at one object we are attending to another object or event. If spontaneous body movements help to unlock gaze, what role, if any, does attention play in this process? To explore this and other questions regarding the dynamics of visual foraging, Dr. Robertson's lab records steady-state visual evoked potentials from infants to measure attention independently of gaze. These experiments have revealed, for example, that during free-looking 3-month-olds' attention covertly moves to the upcoming target of visual fixation before gaze shifts. Dr. Robertson and his students have recently developed methods for the real-time analysis of covert attention using steady-state visual evoked potentials which allows stimulus events to be triggered by specific patterns in the infants current allocation of attention to multiple objects during visual foraging. Students in Dr. Robertson's lab have also collected follow-up data on children who participated in visual foraging experiments as infants. These data suggest that attention problems in childhood may be predicted by the coupling of attention and body movement during free looking in early infancy. Additional cohorts of children studied as infants are currently being followed to assess this provocative link and probe the underlying mechanisms. Robertson SS. (2014). Empty-headed dynamical model of infant visual foraging. Developmental Psychobiology, 56: 1129–33. Watamura SE, Devine K, Robertson SS. (2013). The dynamics of attention during free looking. PLoS One, 8: e56428. Robertson SS, Watamura SE, Wilbourn MP. (2012). Attentional dynamics of infant visual foraging. Proceedings of the National Academy of Sciences USA, 109: 11460–11464. Watamura SE, Coe CL, Laudenslager M, Robertson SS. (2010). Child care setting affects salivary cortisol and antibody secretion in young children. Psychoneuroendocrinology, 2010, 35: 1156-1166. Robertson SS, Johnson SL. (2009). Embodied infant attention. Developmental Science, 12: 297-304. Robertson SS, Johnson SL, Masnick AM, Weiss SL. (2007). Robust coupling of body movement and gaze in young infants. Developmental Psychobiology, 49: 208-215. Friedman AH, Watamura SE, Robertson SS. (2005). Movement-attention coupling in infancy and attention problems in childhood. Developmental Medicine and Child Neurology, 47: 660-665. Robertson SS, Guckenheimer J, Bacher LF, Masnick, AM. (2004). The dynamics of infant visual foraging. Developmental Science, 7: 194-200. Robertson SS, Dierker LJ. (2003). Fetal cyclic motor activity in diabetic pregnancies: Sensitivity to maternal blood glucose. Developmental Psychobiology, 42: 9-16. Robertson SS, Bacher LF, Huntington NL. (2001). Structure and irregularity in the spontaneous behavior of young infants. Behavioral Neuroscience, 115: 758-763. Robertson SS, Bacher LF, Huntington NL. (2001). The integration of body movement and attention in young infants. Psychological Science, 12: 523-526. Bacher LF, Robertson SS. (2001). Stability of coupled fluctuations in movement and visual attention in infants. Developmental Psychobiology, 39: 99-106. Dynamical Systems and Development (HD 6860), graduate seminar. Attention Deficit/Hyperactivity Disorder in Children (HD 4780), undergraduate seminar. Infant Behavior and Development (HD 3440), undergraduate course. Human Growth and Development (NS/HD/Bio and Soc 3470), undergraduate course. Infancy (HD 6400), graduate seminar. Behavioral Organization in the Newborn Infant (HD 6450), graduate seminar. Developmental Psychology (HD 6200), graduate course. Freshman Discussion Group (HD 1200), undergraduate seminar.